25% of France is forested - twice the total of 1830 - one third is oak. Each forest produces wood with its own distinct characteristics. Wine producers select wood from different forests for the effect on their wine. "It's simple: if you want the world's best casks you have to go to the best sources. Only the top domains can unstingtingly afford barrels of this quality. They ruthlessly cull them from their cellars after only 18 months, before the oak gets tired; it is their fastidious attention to detail that is our gain." Well maintained, still fresh and loaded with flavours these casks are skillfully used by Jim McEwan to impart some of their refined character to his maturing whisky. "If you put identical whiky into similar casks, that had the same type of wine in them, you would sort of expect a pretty similar result - right? Wrong. We were astounded. Though it is very subtle indeed, each chateau's basic character comes through. So we've kept them as 6 separate bottlings. It sounds pretentious but it's as if a hint of the wines' mystical terroir, hidden within the finesse of the oak, has been sought out by our spirit." The unusual concept should appeal to both whisky and wine fans alike - especially those who like to compare and contrast between different bottlings. "We're actually responsible for this cask quality in more ways than you think. Because if it wasn't for continual war between England and France, and her need to build naval ships, both Colbert and then Napolen, would never have planted these exceptional oak trees in the first place!" 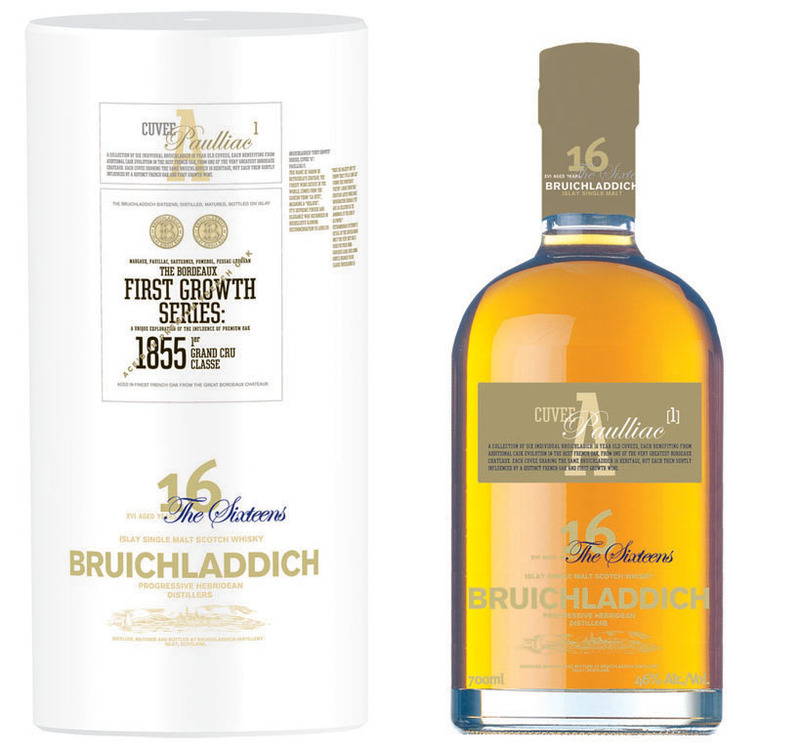 Suggested retail price in the UK for First Growth Whisky is £40.